AE2S was hired to analyze the City’s storm sewer system as part of their 2016 Street Reconstruction projects. The analysis involved modeling the storm sewer, street flow and catch basin capture efficiency. Catch basins are typically designed for smaller events, meaning runoff from larger storm events are unable to enter into the storm sewer system because of catch basin capacity issues. 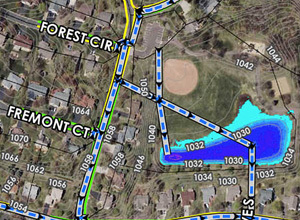 The storm sewer systems were modeled using InfoSWMM to dynamically model the storm sewer, street flow and catch basin capture efficiency within one model. 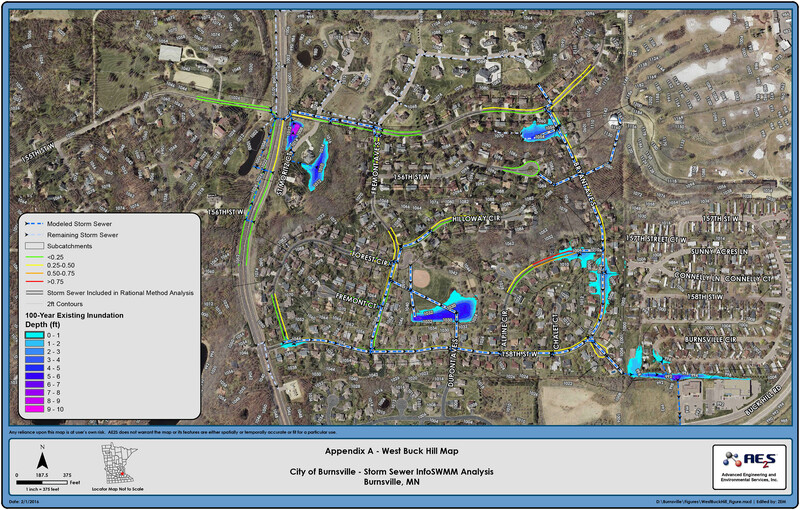 Using InfoSWMM we were able to identify points in the system were the storm sewer was undersized or where there catch basins restricted the flow into the system causing increased flooding. As part of the analysis, maps were developed detailing the depth of flow in the curb lines so City staff could visually understand how the system was performing. Also inundation maps were developed detailing the extent of flooding for various storm events. Overall a design memorandum was prepared and detailed recommendations were made to improve the performance of their storm sewer system.